It’s safe to say that the rift between Team Hickenlooper and Team Polis is no closer to healing than it was over a month ago following the blistering Democratic gubernatorial primary. The vitriol was on full display with a tweet sent out by Doug Friednash, the former chief of staff to Governor Hickenlooper. That stings. 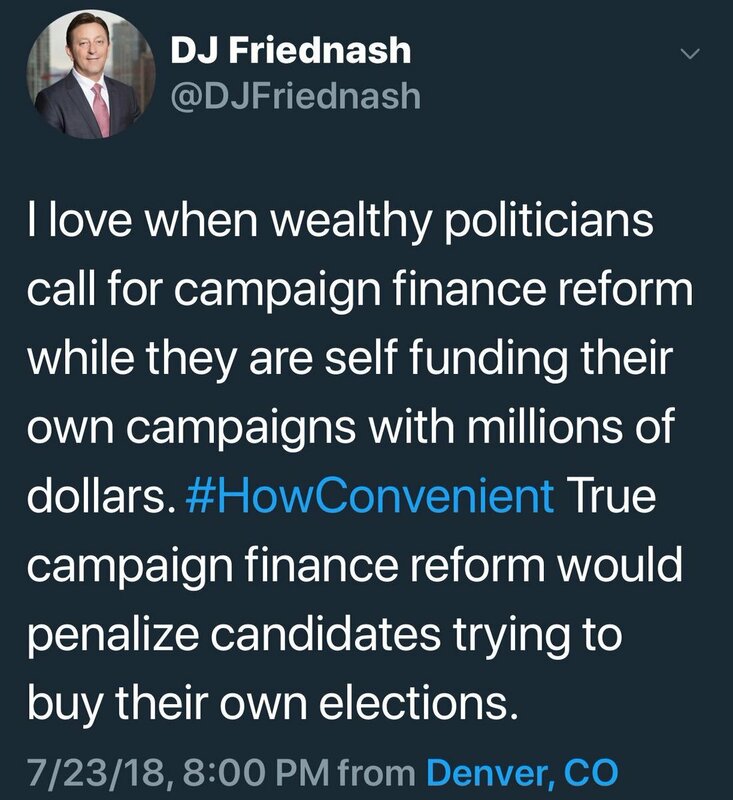 In case you were wondering, Friednash is talking about multimillionaire U.S. Rep. Jared Polis who frequently pontificates about campaign finance reform while not being subject to the rules he advocates. Why? Because he’s rich and that means he can pay cash for his campaign – $13 million so far and he’s just getting warmed up. If Polis was serious about campaign finance reform, he’d impose the rules on himself. After all, fundraising is for little people and so are campaign finance laws, right Rep. Polis?